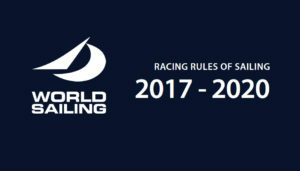 The new Racing Rules of Sailing 2017-2020. The 125 dinghy class is a two-crew craft sailed at over forty yacht clubs throughout Australia. The class suits teenagers moving up out of junior classes, father & son or daughter combinations, husband & wife teams, or anyone wanting to go sailing with a without spending a fortune. The ideal all-up crew weight for racing a 125 is around 120kg, with the most competitive range extending from 100 to 140kg. The light (50kg) hard chine hull, spinnaker and trapeze makes for a lively boat especially on a spinnaker reach in over 12-15 knots of wind. The 125 may be constructed of plywood, foam/fibreglass sandwich, or fibreglass, either home or professionally built. Visit the 125 national website. The National E is a fun family performance sailing dinghy which can be readily bought by people on a limited budget. 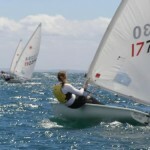 The National E is sailed at clubs throughout Australia with national and state titles held each year. The boat is suits a crew of 2 with a combined weight of between 120kg and 180kg for competitive racing. The boat has a generous spinnaker and a single trapeze. Visit the NatE Website. The “A-Division-Catamaran-Class” was founded as a free construction class in 1956 and remains as one of the most active catamaran classes in the world. Due to a minimum of construction rules such as length, width and sail area it has become a high-tech boat using modern materials such as carbon and kevlar for construction of hulls and masts. This results in its high level of performance in light to fresh winds. Visit the A Class Website to find out more. The Dolphin catamaran was designed by Lindsay Cunningham as the successor to the Quickcat (a class proudly founded by ESC and once the most sailed cat class on the bay) in the late 1970’s. The Dolphin is a 16ft single-handed cat that performs in all weather while being low maintenance and easy to sail – just ask the loyal contingent of Dolphin sailors at our club! Visit the PT Class Website to find out more. The Laser is a single-handed racing dinghy protected by the One Design class rules, which means that no changes are allowed to the boat unless they are specifically permitted in the rules. So in theory all Laser boats are the same whether they are brand new or 10 years old, making it the sailor that wins the race, not the boat. The Laser is a challenging boat that rewards athleticism, subtle steering and trimming techniques, as well as tactical excellence. It is a single-handed Olympic class boat sailed at club, national and international levels. One of the reasons the Laser is so popular is the boat’s simplicity. The two-part free-standing mast and sleeved sail make the boat easy to rig and its lightweight hull make it easy to carry and cartop. The Sabre is a single handed dinghy, suitable for people ranging in age from early teens upwards. The Sabre provides thrilling performance, especially in heavier breezes and sea conditions. The Sabre was designed with safety as a feature. The boat is unsinkable due to the three independent buoyancy tanks incorporated in the design. If capsized, the Sabre comes up easily and dry. Another safety feature is the watertight mast which helps in the righting a capsized boat. Sabre dinghies are 3.77 metres (12’4’’) long with a minimum weight of 41 kgs (90 lbs). The Sail is a high aspect 6.4sq. metres. Visit the Sabre Class Website to find out more. Our ESC race management and rescue crew is highly experienced leading to the ESC hosting international, national and state title events over the years for boats and sailboarding classes.